UPDATE: This event is SOLD OUT. No tickets will be sold at the event. See you in 2020! Get your long johns, furry hats and winter gear ready...Ice Fest is happening again! 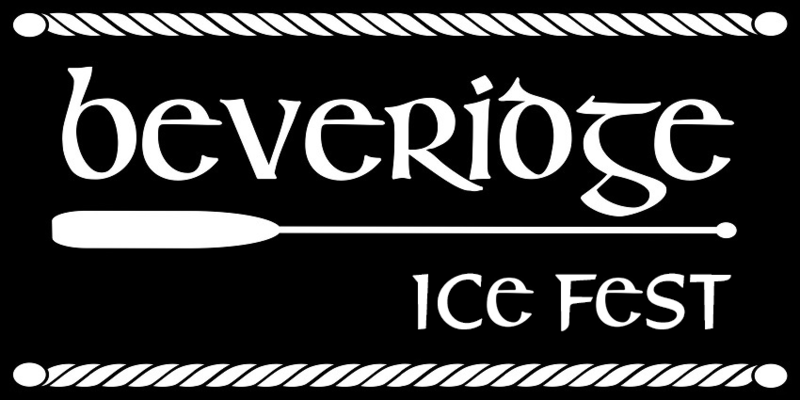 Beveridge Craft Beer Fest will bring together some of the finest craft breweries around to pour some of their tasty brews on the ice of Lake Winnipesaukee. This is the third annual Ice Fest and we are psyched to host it again. This is a beer fest on frozen water so please come prepared with warm clothing, grips for boots and hand and foot warmers. Your ticket into the fest includes all of he beer samples you would like to try. We had a blast on the ice last year and are looking forward to another amazing day with all of you! This is a 21+ event. No one under 21 will be allowed in so please leave the children at home. Please drink responsibly, designated driver tickets are available for sale so you might want to bring one with you or have someone pick you up. There is a bus shuttle from Wolfeboro starting at 11am from Seven Suns. Check out our Facebook page for updates on the event. See you all on the ice! Breweries Joining Us are Lawsons Finest Liquids, Garrison City, Great North Aleworks, Woodstock Inn, Moat Mountain. Lonewolfe, Stoneface, Hobbs, Rockingham, Henniker, Backyard Brewery, Kettlehead, Branch and Blade, Canterbury Aleworks, Concord Craft, Tuckerman, Stowe Cider, Dube & Robinson, Great Rhythm, Chapel & Main, Contoocook Cider, Burnt Timber, Samuel Adams, 1766 Brewing, 14th Star, Great Rhythm, 603 Brewery, Hidden Cove, Mast Landing, Flurries Surfside Burger Bar will be there again with their chili and burgers! Third Shift Fabrication will have their amazing metal bottle openers andother creations, Black Water Mustard, Afterburn Hot Sauce, Toast Tatas, Wood Stove Mulling Syrups, and Live, Love, Lake will be there and don't forget to get some beer soap made by me Beveridge Soap Co. to clean you up after a long day on the ice! Crescent City Kitchens and Full Belli Deli will have some good grub to fill us up. See you there!